The 4 A’s as I call them. Acknowledge – that you are powerful and worthy. 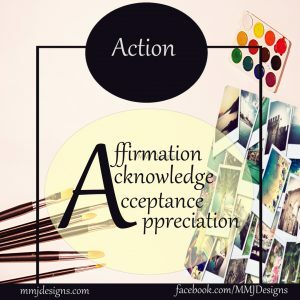 Acceptance – finding who you are and accepting that you are uniquely you. Appreciation – love yourself and who you are. Take in those 4 A’s and make them yours.